This collection includes two stories that directly pick up on and work with the idea we've seen throughout the series, that this version of the Legion of Super-Heroes was inspired by the DC Comics publications of the 20th and 21st centuries. Here, the series creators model what we might call the "revolutionary" reading practices they want the readers of their comic to employ. Well, that's me told. 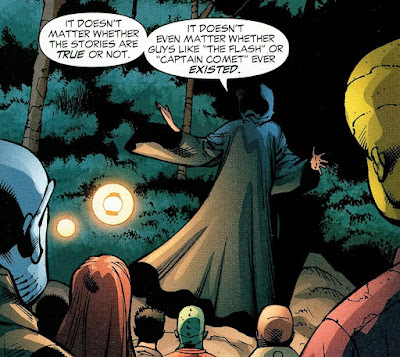 Recall, after all, that even though the Legion members memorize what issues DC characters first appeared in, what they really care about are the ideals the superheroes stand for. 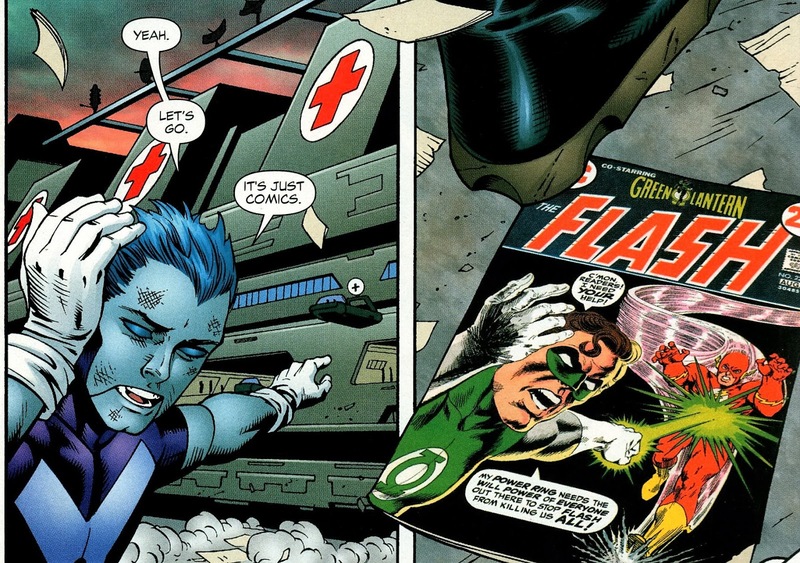 There are six or seven of these, providing a visual reminder of how the comics of the past serve as inspiration for the heroes of the future. In this story, Mark Waid models the reading practices that underpinned the "threeboot" as conceived of by him and Barry Kitson. 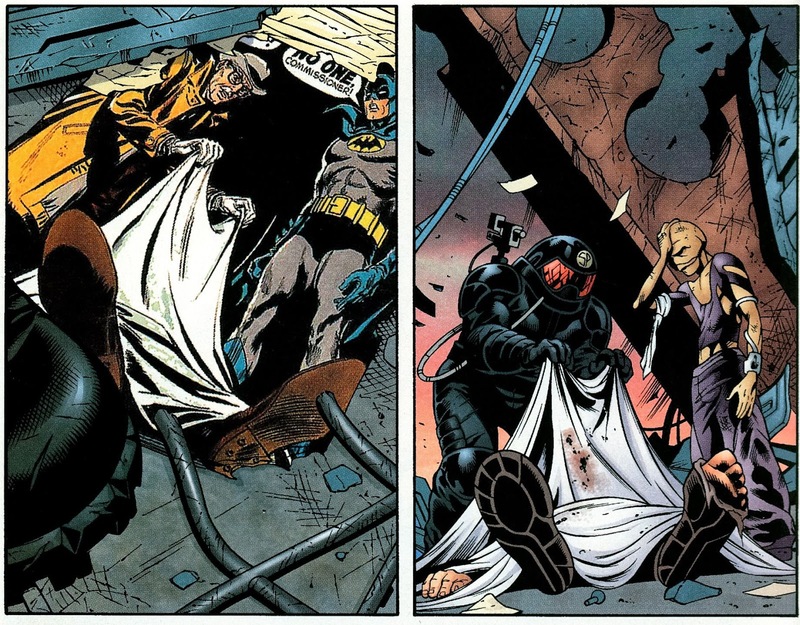 Inspired by the comics of the past, but beholden to their spirit, not their literal details. Continuity and nostalgia doesn't matter, idealism and revolution do. As much as Waid and Kitsons take on the Legion was about a revolution, it was itself revolutionary-- taking an old idea and reworking it for a contemporary context. Unfortunately, the lessons of this story would go unheard by the readers of DC Comics. But that's something I'll cover when I get to the final volume of Waid and Kitson's run.